A grant-giving organization approached OpenTrak with a problem: their hundreds of grantees were spread over a large geographical area without a way to visualize the service areas. The ability to analyze funding areas and funding types against public data is burdensome due to the disparate sources of information. Enter GrantTrak: using many of the existing Integrated Products and some proprietary technology, OpenTrak was able to craft an effective solution for visual tracking and analysis of service areas. 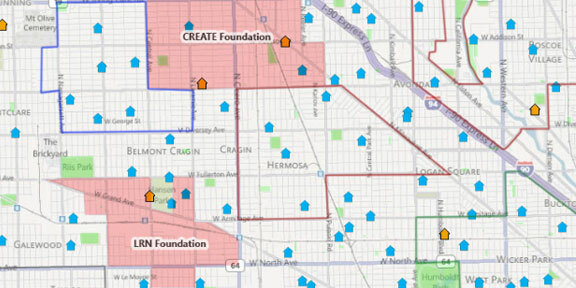 GrantTrak allows for service areas to be displayed on a map to provide analysis for density of impact. Public information such as population can be displayed as a layer to track service area by population.